Josh Peckler - Jpeckler@shawmedia.com Austin Wiggerman tees off from the 1st hole during the McHenry County Junior Golf Association Tournament of Champions at Woodstock Country Club Tuesday, August 7, 2012. 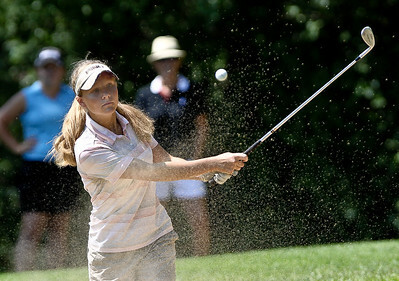 Josh Peckler - Jpeckler@shawmedia.com Josie Kurosky hits her ball out of the sand track on the 3rd hole during the McHenry County Junior Golf Association Tournament of Champions at Woodstock Country Club Tuesday, August 7, 2012. 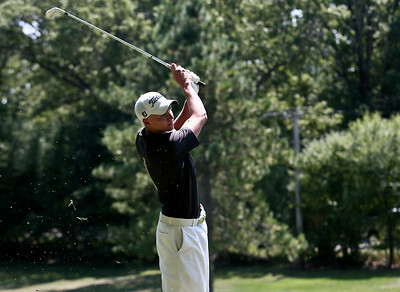 Josh Peckler - Jpeckler@shawmedia.com Anthony Cardelli picks up blades of grass after taking a shot on the 1st hole during the McHenry County Junior Golf Association Tournament of Champions at Woodstock Country Club Tuesday, August 7, 2012. Josh Peckler - Jpeckler@shawmedia.com From left, Danielle Roulo, Kaylee Ross and Delainey Peterson walk down the fairway of the 1st hole during the McHenry County Junior Golf Association Tournament of Champions at Woodstock Country Club Tuesday, August 7, 2012. Josh Peckler - Jpeckler@shawmedia.com Jenna Kurosky watches her putt land short on the green of the 3rd hole during the McHenry County Junior Golf Association Tournament of Champions at Woodstock Country Club Tuesday, August 7, 2012. Josh Peckler - Jpeckler@shawmedia.com Delainey Peterson checks the green on the 1st hole during the McHenry County Junior Golf Association Tournament of Champions at Woodstock Country Club Tuesday, August 7, 2012. 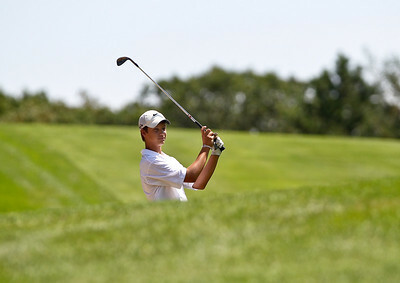 Josh Peckler - Jpeckler@shawmedia.com Billy Walker watches his shot from the fairway on the 1st hole during the McHenry County Junior Golf Association Tournament of Champions at Woodstock Country Club Tuesday, August 7, 2012. Josh Peckler - Jpeckler@shawmedia.com Kaylee Ross hits her ball out of the sand track on the 3rd hole during the McHenry County Junior Golf Association Tournament of Champions at Woodstock Country Club Tuesday, August 7, 2012. 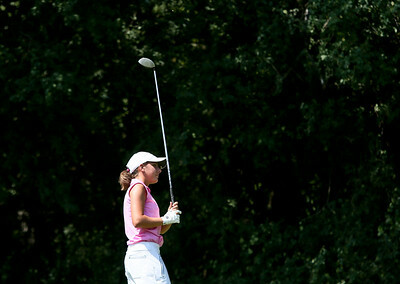 Josh Peckler - Jpeckler@shawmedia.com Larisa Luloff tries to track down her ball after teeing off from the 3rd hole during the McHenry County Junior Golf Association Tournament of Champions at Woodstock Country Club Tuesday, August 7, 2012. 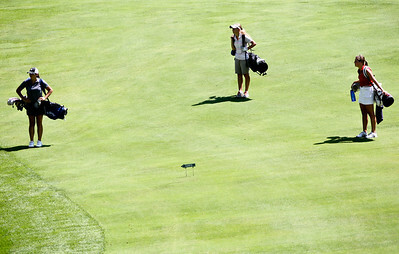 Delainey Peterson checks the green on the 1st hole during the McHenry County Junior Golf Association Tournament of Champions at Woodstock Country Club Tuesday, August 7, 2012.